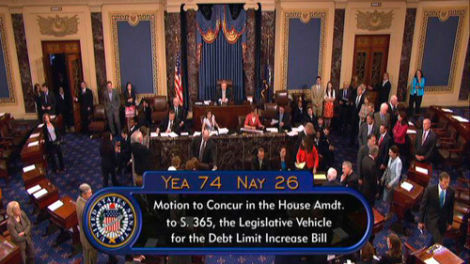 The Senate has passed the debt ceiling deal, 74-26, sending it to President Obama's desk. Crisis averted! Now, thanks to the deal's structure, we can look forward to a prolonged 18-month budget battle and massive lobbying campaign.